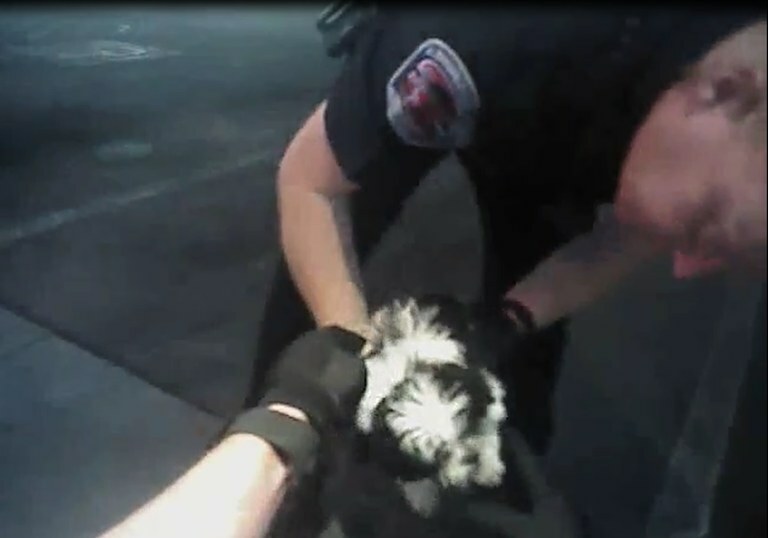 Albuquerque Police Officers helped save the life of a puppy who was unresponsive and barely breathing. They were called to the scene to recover a stolen vehicle when they noticed a woman was panicking. She told officers her dog wasn't breathing and appeared to be choking. Officers helped resuscitate the animal and help save its life. The pup was found to be choking on some cheese which officers were able to help dislodge from his windpipe. The pup was checked out and is expected to make a full recovery. The incident happened just before 8:30 p.m. June 2, 2017, on the 1200 block of Wyoming NE. Officer Jon O'Guin and Sgt. Jim Edison are the two compassionate officers seen in this video.